Paul Higgs is Professor of the Sociology of Ageing at UCL. He has co-authored with Chris Gilleard a number of books: Cultures of Ageing: Self, Citizen and the Body (2000); Contexts of Ageing: Class, Cohort and Community (2005); Ageing, Corporeality and Embodiment (2013); Rethinking Old Age: Theorising the Fourth Age (2015) and Personhood and Care in Advanced Old Age (2016). Professor Higgs edits the journal, Social Theory and Health, and has published widely in social gerontology and medical sociology. 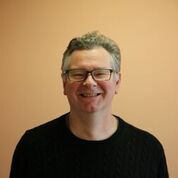 He is currently involved in researching the social effects of dementia through two UK government funded projects MARQUE (Managing Agitation and Raising QUality of lifE in dementia) and PRIDE (Promoting Independence in Dementia). He is also a collaborator on the EU funded INDUCT (Interdisciplinary Network for Dementia Using Current Technology.) international training network. He holds fellowships from both the Academy of Social Sciences and the Gerontological Society of America.